I think in life, it is important to challenge yourself in terms of learning new things. As such, I decided to pick up the cello recently. I went to a local music store with my colleague Jonathan Kwan to look at the cellos I could rent. On an aside, he too is looking at picking up an instrument, but I will let him talk about that later. The store associate showed me to the cellos, gave me a bow, and let me try them out. 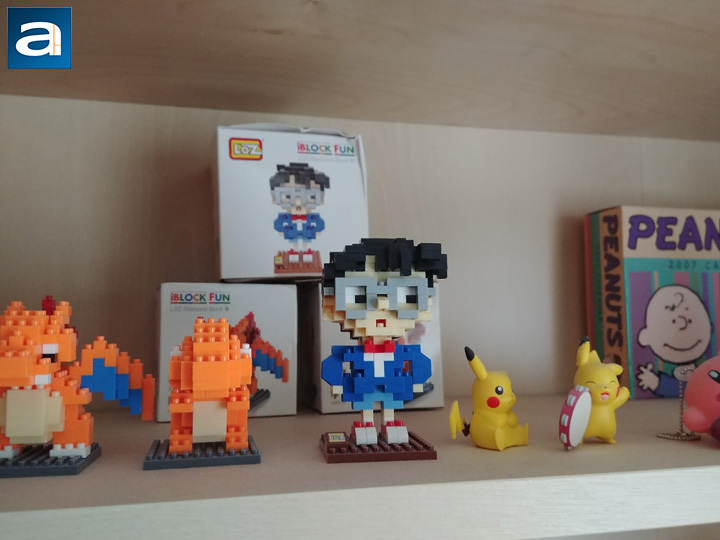 I grabbed the first one I found and played around. Listening to the natural wooden resonance, I was impressed with the warmth and fullness of sound. Ignorantly, I grabbed another one without looking at the price tag and tried it too. Immediately after playing one note, I heard the resonance and fell deeper in love with the sound. The sound quality of the first cello was immediately diminished in awesomeness compared to this one. I asked Jonathan how much this cello was, and I almost cried when I heard him say it was practically double the original one. From the exterior, the two cellos looked quite similar. However, it was not until I tried the instrument did I realize the difference. As you have seen from the various Android phones we have looked at, many of them had different price tags, and in general their price reflects the performance. Today, we have LG's 2017 flagship device, the G6. 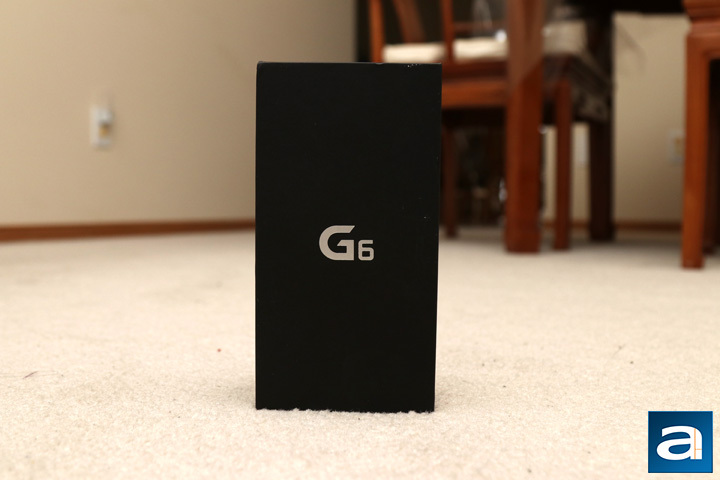 Priced like a top-tier device, one would have to wonder, what is the G6 like? Will this phone resonate with me, or will I be left wanting more? Read on to find out! Today's review unit of the LG G6 arrived from Toronto, Ontario through an external public relations agency. 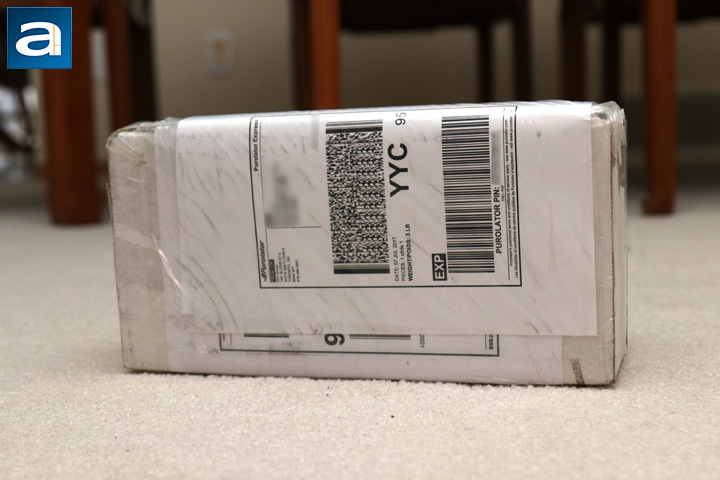 Traveling with Purolator via their Express service, this box arrived in a pretty average condition. The white box definitely makes everything look dirtier than a standard brown corrugated cardboard box, but it is not bad. The box was quite taped up with lots of packing tape around the edges. Inside, the LG G6 is found, wrapped in a red bubble wrap bag for protection. Otherwise, there is not much else to talk about, so let us get to the box itself. While the LG X power 2 had quite a few words on the outside of its container, the G6's box is quite minimalist. 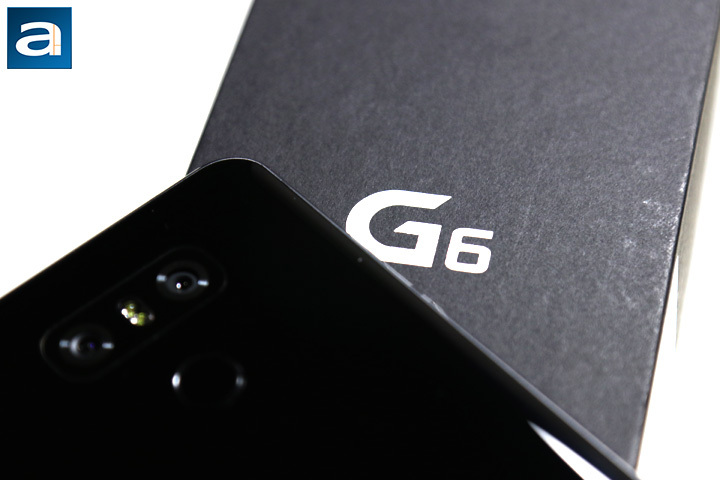 With just a G6 logo on the front, there really is not much to speak about. The side has a tagline of "Life's Good When You Play More", and the back goes over some information about box contents. A Qualcomm logo can be found at the back as a Snapdragon SoC can be found in this smartphone. Our particular LG G6 is a Bell Mobility locked unit, but thankfully this phone can be found with practically every Canadian carrier, including the secondary flanker brands and even Freedom Mobile. Unfortunately, while the G6 might be available with them, you might still not get any signal, haha. Joking aside, inside the box we have the phone itself, USB-C to full-sized USB cable, and an AC adapter. Like the LG G5, the G6 follows along with the same sense of quality and a premium package overall. The phone is made primarily out of glass and metal. The glass is present on both the front and the back of the phone, utilizing a mix of Corning's Gorilla Glass 5 on the back and Gorilla Glass 3 on the front. It is a bit weird to see different generations of Corning's scratch and impact resistant glass, even if it is a cost-cutting measure. The frame of the body is metal otherwise. While we saw a slightly curved screen on the G5, the G6 front panel is pretty flat. Instead, the back has a curved glass to make the phone easier to hold. Overall, build quality is great with these premium materials, and there is no flimsy or cheap feeling here. It has a good heft in terms of weight at 163 grams. Compared to other phones like the Samsung Galaxy S8 or the iPhone 7, I would say the LG G6 feels right in the same league. The real stunner at the front is the full 5.7" screen. This screen has increased in resolution to what LG calls "Quad HD+". This translates to a 2:1 aspect ratio 1440 x 2880 resolution with a pixel density of 564ppi. Pairing this 0.4" larger screen with the slim bezels results in the LG G6 being both slimmer and shorter than the previous LG G5. It also makes the whole device easy to hold in your hands. A front facing 5MP camera is at the top left corner, which is a downgrade in terms of both resolution and maximum aperture. We will see how this compares later on in our review. Otherwise, two buttons can be seen on the left edge of the phone. This is the volume rocker and it protrudes out enough to be easily identifiable without looking at the phone. The buttons also offer decent feedback when pressing them. At the top, there is a microphone and a 3.5mm audio jack. It should be noted that this is the North American 32GB model, and thus it does not have the same DAC found in the Korean LG G6. This is a bit of a disappointment, as their other high-end device, the LG V20, offered this upgraded audio experience. The bottom edge houses three more things to note. On the left most side is a single microphone hole. 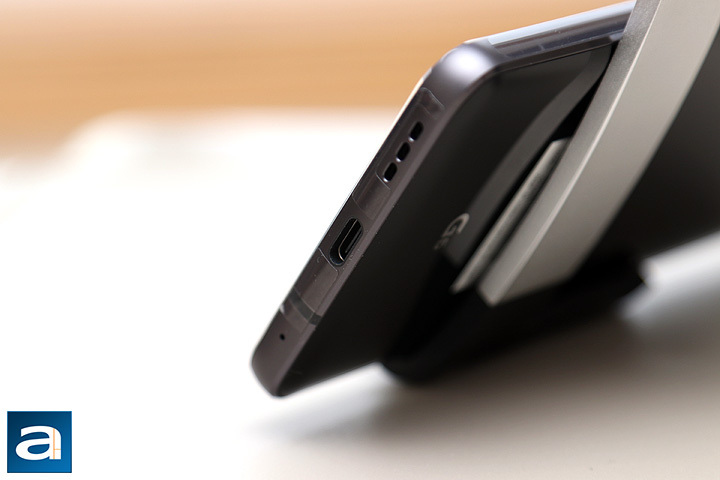 Housed in the middle of the bottom edge is the USB-C port. This is a common trend for flagship devices to come with the newer connector, as it offers a reversible connector and possibly higher data transfers. Unfortunately, this connector is implemented with USB 2.0 standards, so you should not expect any faster transfer speeds. Finally, on the right side is the speaker grille. The 1.2W speaker gets quite loud and stays quite clear, even at maximum volume limits. 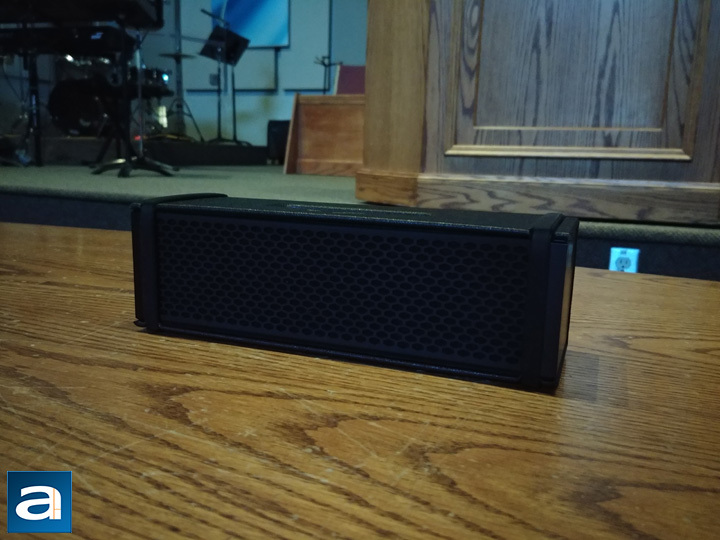 However, one problem I found with the speaker was its positioning, as I could easily cover it up with my hands, resulting in a muted sound. On the back of the phone, you can see the aforementioned Gorilla Glass 5 here. It is a glossy finish, so fingerprints will readily show on the LG G6's back. Even so, the phone is pretty easy to grip to, and the metal frame gives your fingers an anchor point to hold. The back of the phone also houses a couple key features to speak of. First, we have the dual camera setup. Similar to the LG G5, the right camera is the standard 13MP, f/1.8 camera, with optical image stabilization and phase detection auto focus, or OIS and PDAF for short. The left camera is a wide angle, 13MP, f/2.4 camera. 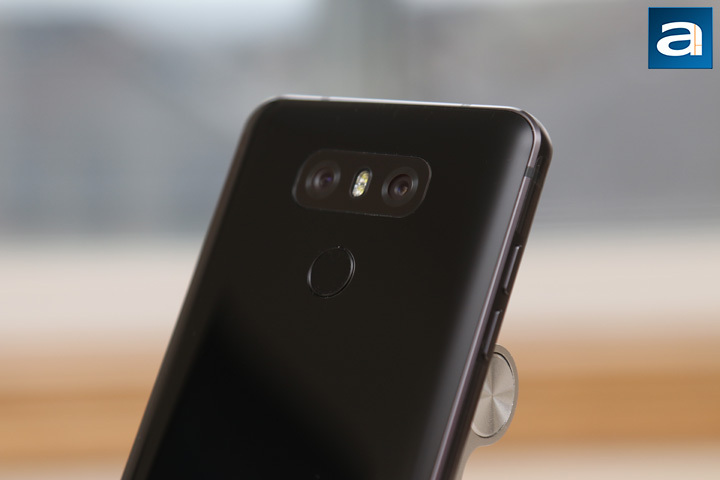 Having two cameras in late 2017 on your phone is becoming more and more common, as it can be found on multiple flagship phones. On the other hand, these flagships may swap out the wider angle camera for a telephoto lens instead. A dual LED flash can be found housed in between the two cameras. Underneath this area is the second key feature, which is the fingerprint sensor and power button. Placing your finger on this button will activate the sensor, while pushing it in powers the device on. This fingerprint sensor is quite quick and it learned my fingers in a very short amount of time. Turning the phone on through fingerprint recognition is also fast. Thankfully, there is also no power button wobble I observed on my unit of the LG G5. Powering on the LG G6, Android Nougat 7.0 can be found running on this device. After checking for latest updates, which included security updates from April 1, 2017, this is the homepage I was greeted with. As expected, LG has overlaid the standard Android interface with their user interface. Personally, I have used the LG UX before, and while it is on my current phone, I still prefer stock Android for its cleaner interface and less bloatware. Otherwise, differences from stock Android are mostly visual in nature, including items like the Settings menu, drop down menus, and the folder interface. I am still happy to find more Google apps here and less LG specific ones, and I hope it will continually move in this direction. Internally, the LG G6 is fully equipped for flagship fighting. With a Qualcomm Snapdragon 821, 4GB of RAM, and 32GB of storage, these are top tier specifications in every way. Daily tasks like web browsing and text messages are completed with ease. All games fly easily through with no real hiccups or dips to speak of. It is amazing to see how much faster a phone is when you compare the current generation of high-end and mid-range smartphones. On the flip side, the Snapdragon 821 is yesteryear's processor, with the Snapdragon 835 performing better and having energy efficiency improvements. This would have been good to see on the LG G6. As for the screen quality, I found it was very good. With the aforementioned QHD+ 2880x1440 resolution, the real nice thing is the lack of bezels, especially on the side. The resolution ratio is a bit annoying with black bars seen on practically every video, but it is something you might just have to get used to. The screen overall is also of good quality, though this is an IPS panel. While it offers good viewing angles, I think AMOLED screens are better for deeper blacks and better direct sunlight performance. 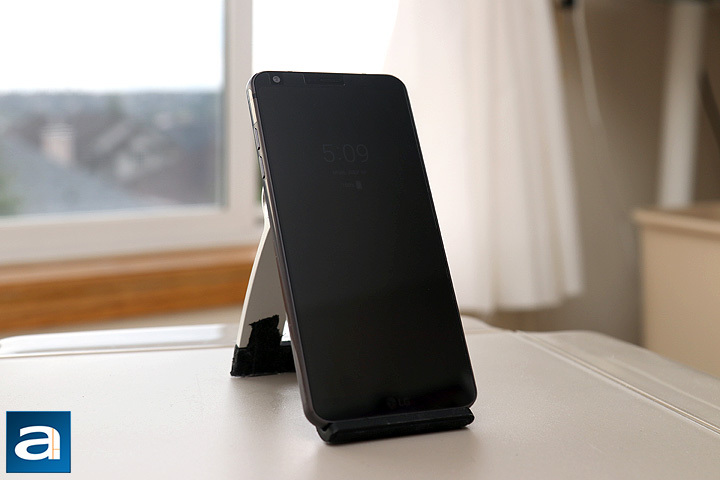 In addition, considering the LG G6 has an Always-On Display feature, the AMOLED screen would be good to reduce the energy required to keep the screen on. The automatic brightness is okay, and generally the colors look accurate. Some might worry about battery implications since the screen is on all the time, but to be honest I did not see a huge dip in battery life. I cannot fully comment on how the battery is overall, since this phone was locked to a different carrier, but I will say it seems quite good and seems comparable to other flagship phones. I also quite like the fast charging, which topped up the LG G6 from practically empty to full in less than one and a half hours. One big part of smartphones nowadays is the camera quality. As the saying goes, the best camera is the one you have ready, and since most people have their smartphone with them all the time, this becomes your most used camera. As such, I tested the LG G6 in various conditions, looking at different features and things. Majority of the shots were taken in automatic mode, though the G6 does have a pretty comprehensive manual mode in their camera application. This allows you to modify all the major things like white balance, focus, EV, ISO, and shutter speed. HDR mode was on automatic the entire time, but I will tell you when HDR is actually active for the photo. All of the photos have only been edited for resizing, and otherwise have been left as is. As for the first photo above, this is a standard shot taken indoors with natural lighting. 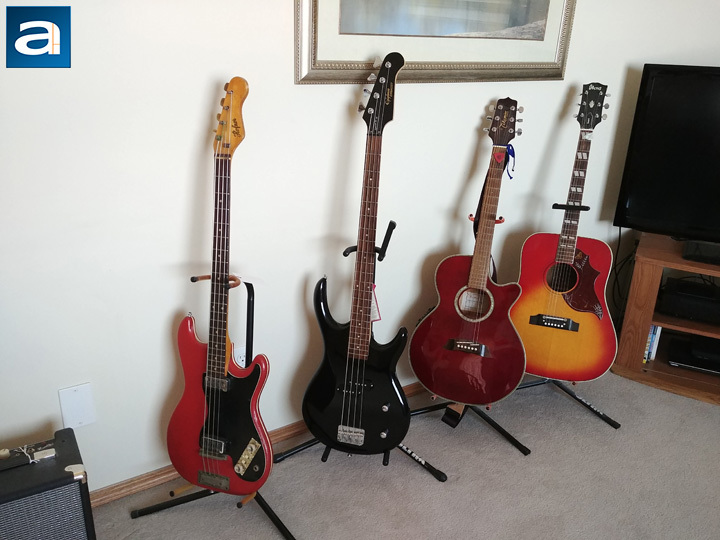 Once again, you can see the family collection of guitars and basses. Overall, this is a good shot. The subjects in the photo are sharp, clear, and their colors are on point. We can see a generally neutral color profile. Shadows and darker parts of the photo are clean without any noise. This is pretty much as expected from a flagship phone camera, and the image quality is great overall. Compared to the LG G5, both cameras produced very nice photos, though I find there is a bit more pop in color with the photo from the LG G6. In this shot, we have a similar lighting situation with direct sunlight on these objects. Compared to the LG X power 2 I reviewed last week, the image quality of this shot is leagues better. Overall, the subject of the photo is again sharper. Some depth of field can be seen between the foreground and the background. The bamboo color shelf and the brighter oranges on Charizard and Charmander are all closer to reality. A bit of softness can be seen closer to the edges of the photo, but overall the LG G6 produces a very accurate and pleasant image. With a twilight shot, you can get a lot of detail in both the brighter areas like the sky, and the darker areas like the homes. Overall, the image is quite sharp and it does not seem to have any softness. I should note, this is with HDR on, though I did not notice the lag that is sometimes seen with HDR active. Otherwise, color accuracy is good, with the blue and slightly pink sky seen above as well as the green-yellow grass matching up with reality. I do find the image overall a bit dark, but this is a more than usable shot, and still visually pleasing. In a darker environment, phone cameras generally struggle, due to the physical limitations of a smaller sensor and a smaller lens too. However, the LG G6 produces a very usable shot. There was some outdoor lighting from the back of the room, but this photo looks quite a bit brighter than the environment we were actually in. The colors on the wood and the speaker are accurate. More importantly, the subject is in focus and is not blurry at all. There is very little noise in the foreground, which is pretty impressive. The photo also contains relatively good detail on the speaker, the table, and even the background. Overall, this is probably the most impressive photo, especially when you put into perspective the lower light situation. As of now, all of the photos have been taken using the standard angle camera. However, one of the big benefits to having a dual-camera layout is the fact it provides a second point of view, whether it is a wider angle or a more zoomed in image. 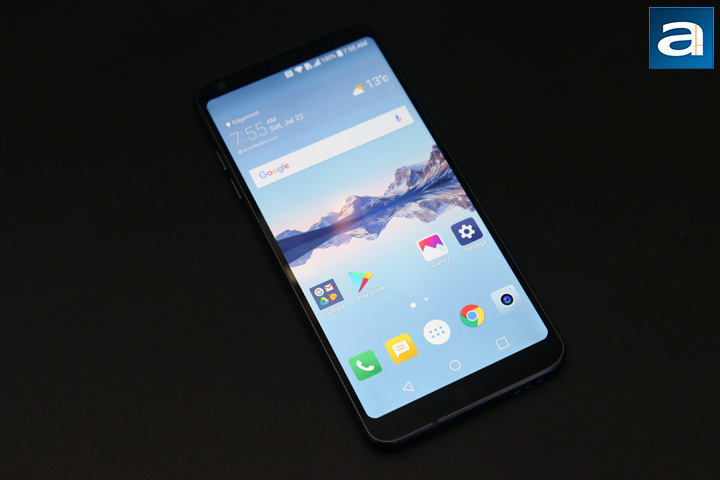 The LG G6 has gone with the former option, and the effect can be seen above. 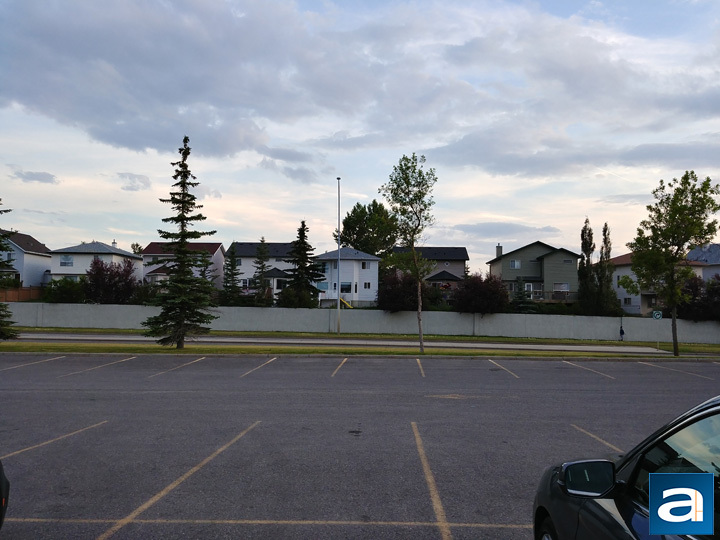 Both of these images were taken from the same spot, in the same lighting, with the only difference being the camera used. 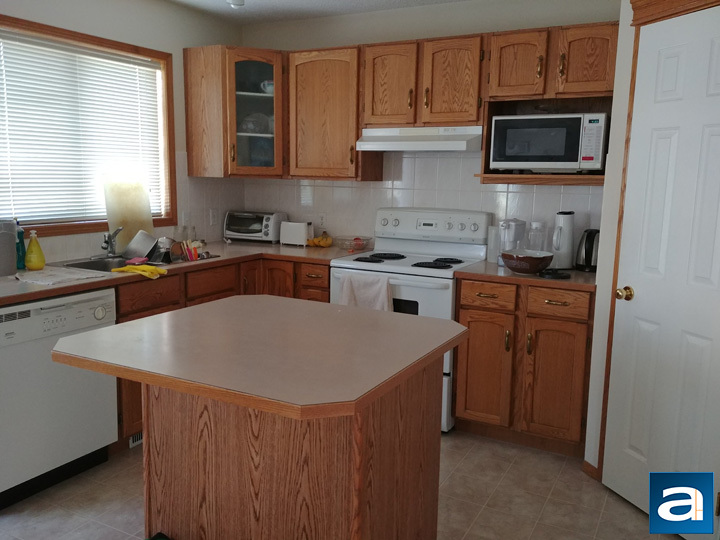 As you can see, the wide angle view allows you to see the entire kitchen, while the primary shooter cuts off the refrigerator completely. Color reproduction between the two cameras is completely the same, and we have a clear image from both. 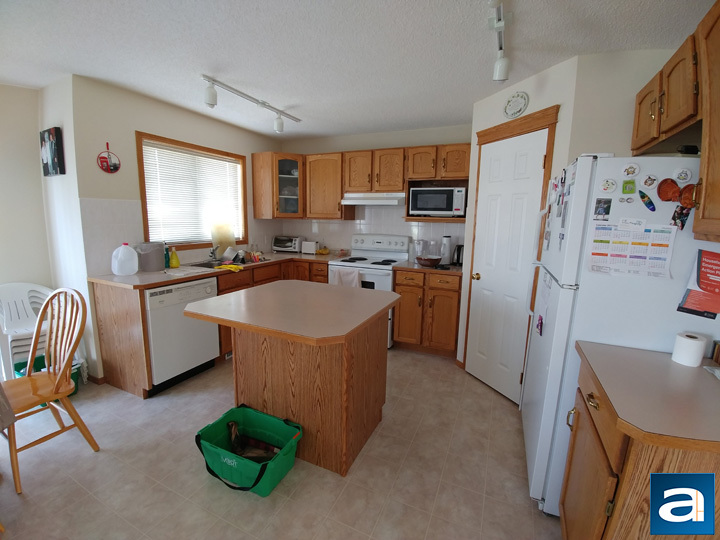 The notable difference is the distortion seen in the wide-angle image, as you can see a slight fish-eye effect. Personally speaking, I quite liked using the wide angle camera, as I found myself using it for different situations both indoors and outdoors. As per usual, I also did a selfie in a relatively well-lit area. Compared to the LG G5, the G6 actually has a lower resolution camera, with a 5MP front facing camera instead of the 8MP found on the LG G5. This being said, a higher or lower megapixel count does not always equate to a better or worse camera. With the LG G6, the image produced from the selfie shooter is acceptable, though quite a bit of softness can be seen, especially in the background. Color accuracy and focus is generally on point for the subject in the shot too. This is not a whole lot different than the LG G5's image, but I wish they improved upon it. While we do not seem to have facial detection anymore on the front camera, the G6 offers a wider angle to let you capture more people in your group selfie. 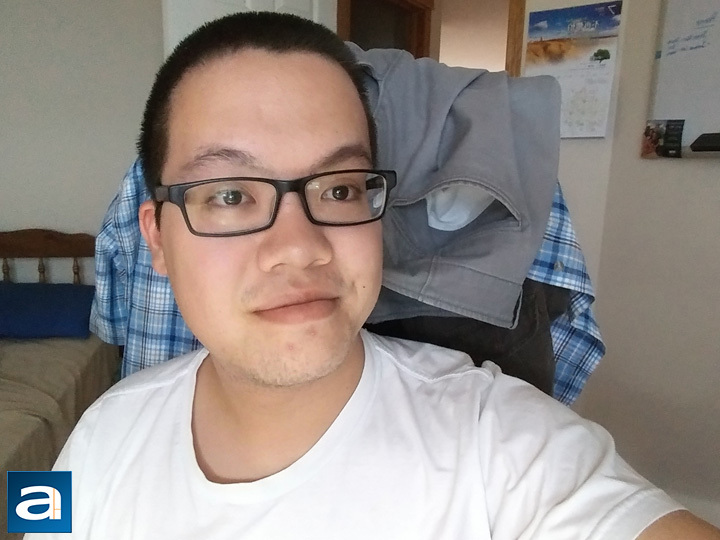 While I am not a huge selfie taker, I know the Editor-in-Chief Jonathan Kwan would love this feature to get more of his friends in the shot. If flagship is what LG wanted to convey with the G6, then I can say this is exactly what they have achieved. While it may be a step in the more conservative direction compared to what they did last year with the design, I think the G6 nails so many right points in so many ways. The premium build quality and feel is beyond compare. The glass back and metal frame really feel good in the hands without being hard to hold. The minimal bezels make the display pop out while keeping the phone at an easy-to-hold size. The screen itself looks great, and while the 2:1 screen ratio may take time to grow on people, it really is nice paired with those bezels. The fingerprint sensor is quite fast and learned my fingers quite quickly. The overall software experience is also good, with a lightweight skin on top of Android Nougat and only a few unnecessary pre-installed applications. Finally, the camera quality is great overall and I really appreciate LG's implementation of their dual camera system. Overall, images are reproduced with accurate colors and sharpness. The selfie camera is a bit step backwards on paper, but I think it is on the same level in reality. While I had quips with last year's LG G5, I think the LG G6 has only a few. It would have been nice to see the latest internal specifications and I would like to see an AMOLED screen used here. I also would have liked to have the Quad DAC come to the Canadian version of the LG G6, or at least a bit better speaker placement. Even so, the LG G6 is truly a complete package from beginning to end; in the minor details and the major implementation. It truly has impressed me and fights well against other flagship phones of 2017. Do you have any comments or questions about the LG G6? Drop by our Forums. Registration is free, and it only takes a minute! posted 13 hours and 37 minutes ago, with 1 posts. posted 13 hours and 38 minutes ago, with 7 posts. posted 13 hours and 40 minutes ago, with 6 posts. posted 13 hours and 42 minutes ago, with 14 posts. posted 13 hours and 43 minutes ago, with 58 posts. posted 13 hours and 43 minutes ago, with 13 posts. posted 13 hours and 44 minutes ago, with 12 posts.